We all have been discussing how life would be without a neutral internet for months now. But Doodlers (awesome, you guys!) 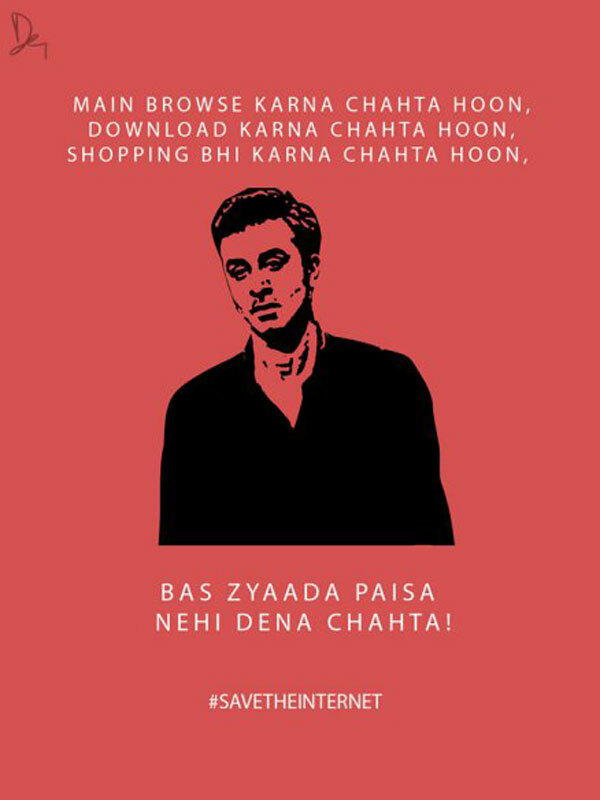 decided to show us how films and Bollywood would be if internet ended up being biased. And boy! They are absolutely fantastic! 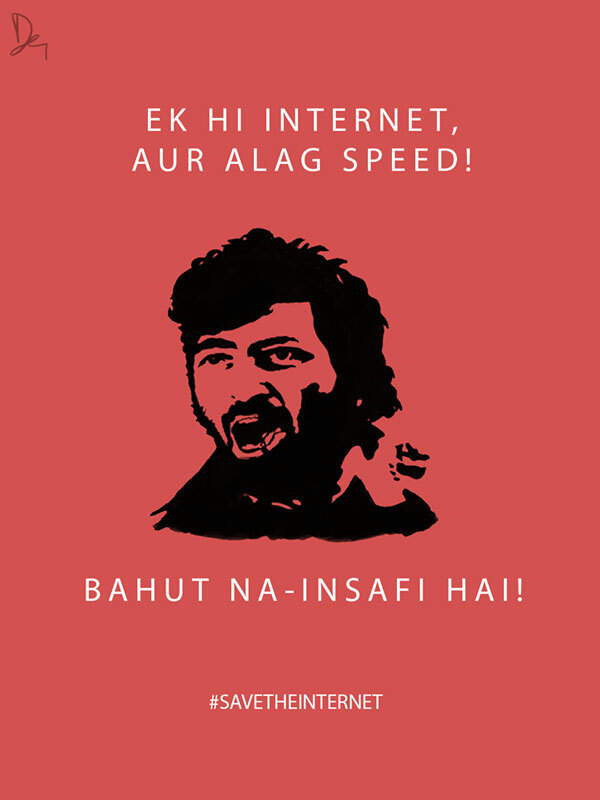 From Gabbar to Devdas and from Kajol to Ranbir everyone’s lines are creatively altered in order to explain the impact a slow or biased internet could cause. 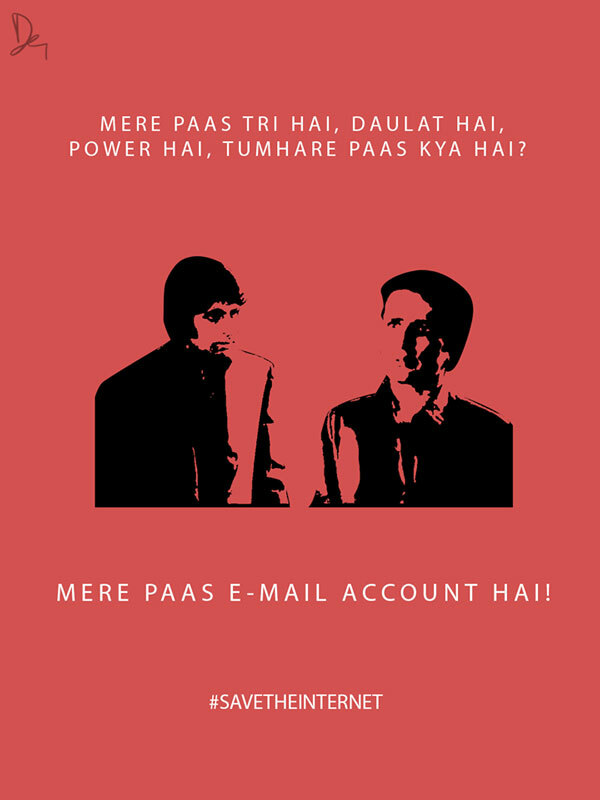 The message is so apt and creative; it just leaves you asking for more. Things have taken quite a serious turn after Facebook and its owner Mark Zuckerburg found themselves in the middle of the discussion with India’s big media houses opting out of Internet.org. In a rather tense atmosphere of this kind, Doodlers work comes across as a comic relief and also as that last push for those of you who still haven’t taken this discussion seriously. Last few days guys, register that complaint before it’s late. Better now, than never. 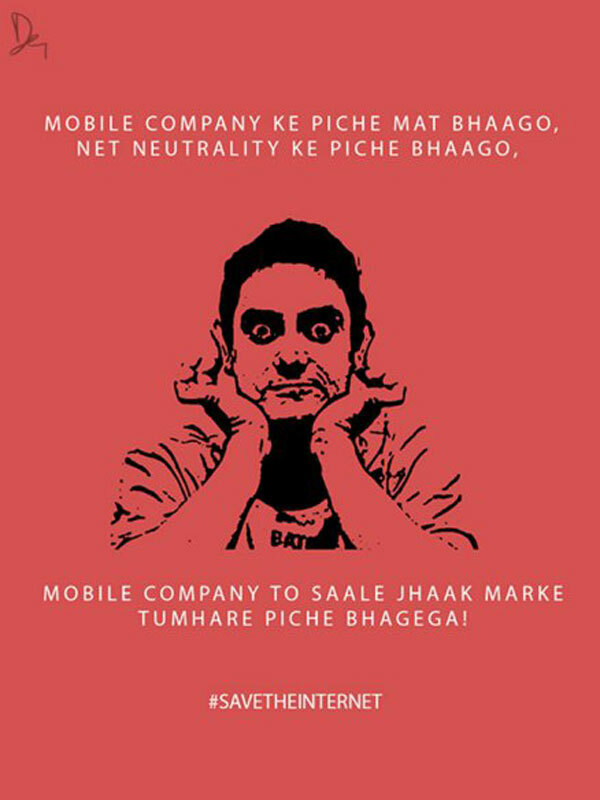 Here’s a brand new advice from our very own Baba Ranchod Das (Aamir Khan). We agree with you Gabbar! 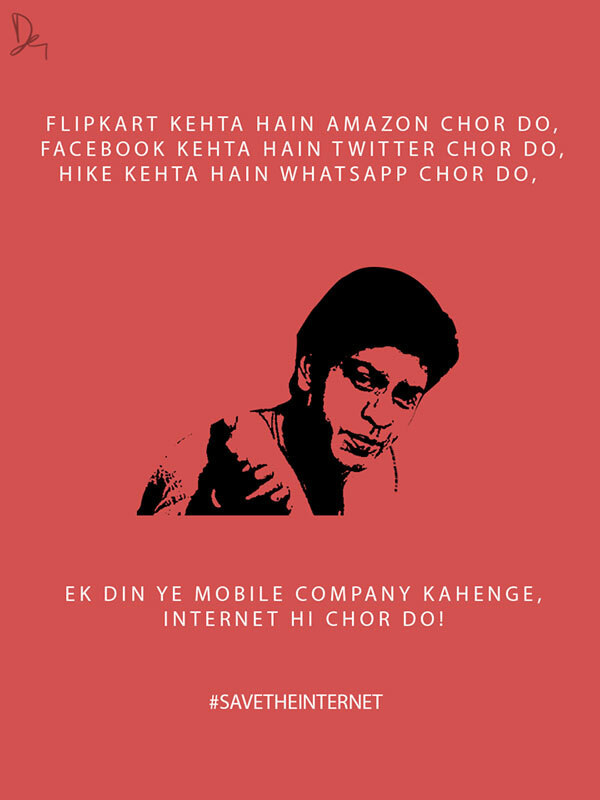 That’s what we are worried about, Devdas a.k.a Shahrukh Khan. 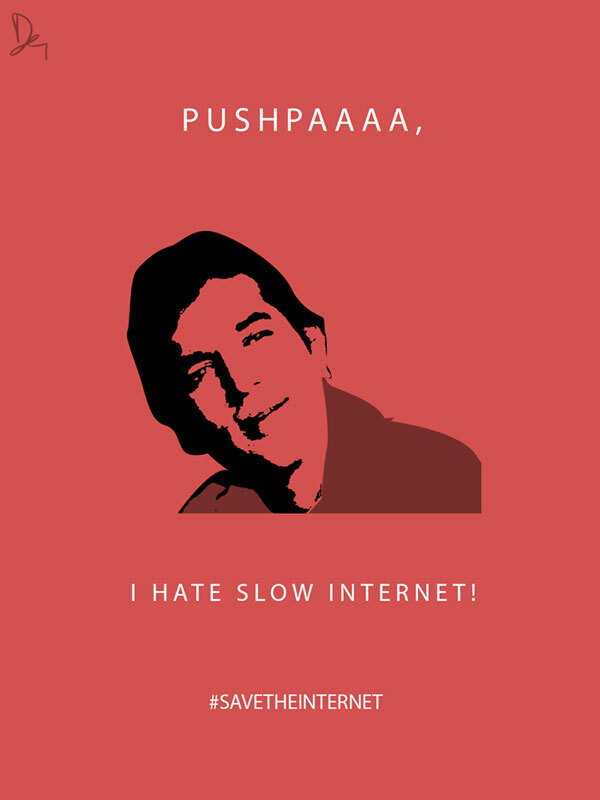 We hate it too Mr. Rajesh Khanna. Ha ha! Yeah! No romance, only internet! High possibility of this converting into a reality! Maa replaced by Internet, LOL! Look whose career plans changed. Way to go Ranbir! Absolutely! 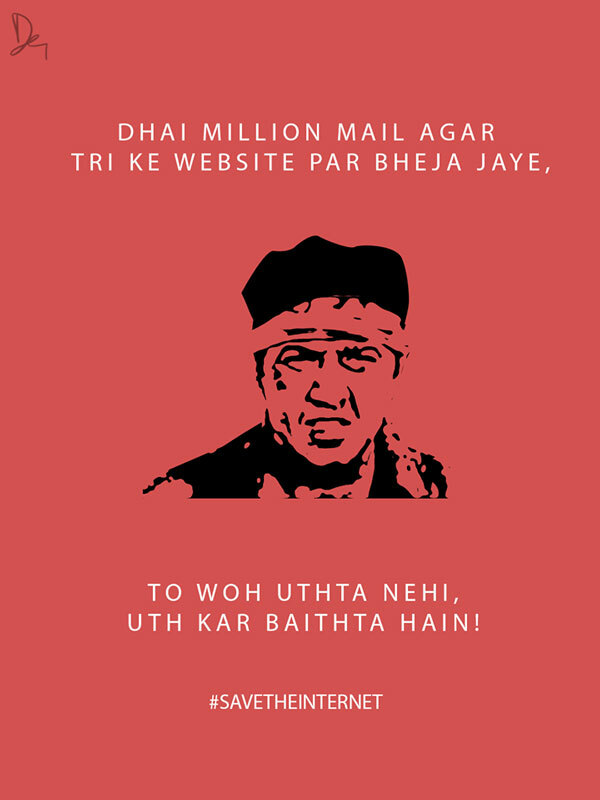 A million mails, a strong message! Well, so that’s all. They have done their jobs, we have done our jobs. Now it’s your turn. Last few days left guys. Invest them correctly, send that mail and save the internet. We are sure you had a good laugh, don’t enjoy alone! Spread the message fast and quick. P.S. 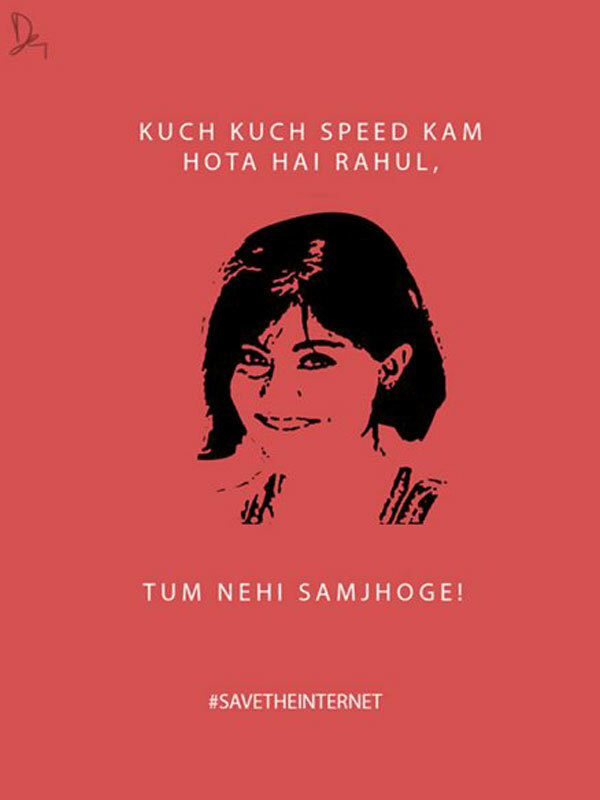 : While the internet is fast and quick that is!